H.V.P.M's till 1969 had focused its attention on primary education . It was indeed a proper approach to build complete teacher. 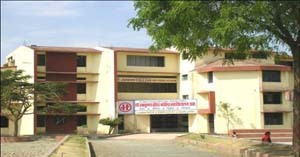 H.V.P.Mandal's College of education Amravati was established in 1969. It is aided by the Goverment ,recognized by NCTE . It is located in Amravati. It also known as "Amba Nagari" and is at 156 Km from Nagpur. To provide academic intellectual and practical training essential for teaching proficiency through teacher personality development. To develop proper abilities and vigour in the teacher trainees for contributing to the community and national development through efficacious teaching and use of technology . To provide proper orientation and training in national values and core demands that are relevant to indian cultural ethics. To promote the education at all level of human development on firm foundation of national integration and solidarity . To provide for quality practice for developing teaching ablilites through self realization. self development for national development . To provide for teacher personality development by includeing value system . Fee Structure for fee sets with breakup : As per Govt. rules and regulation.